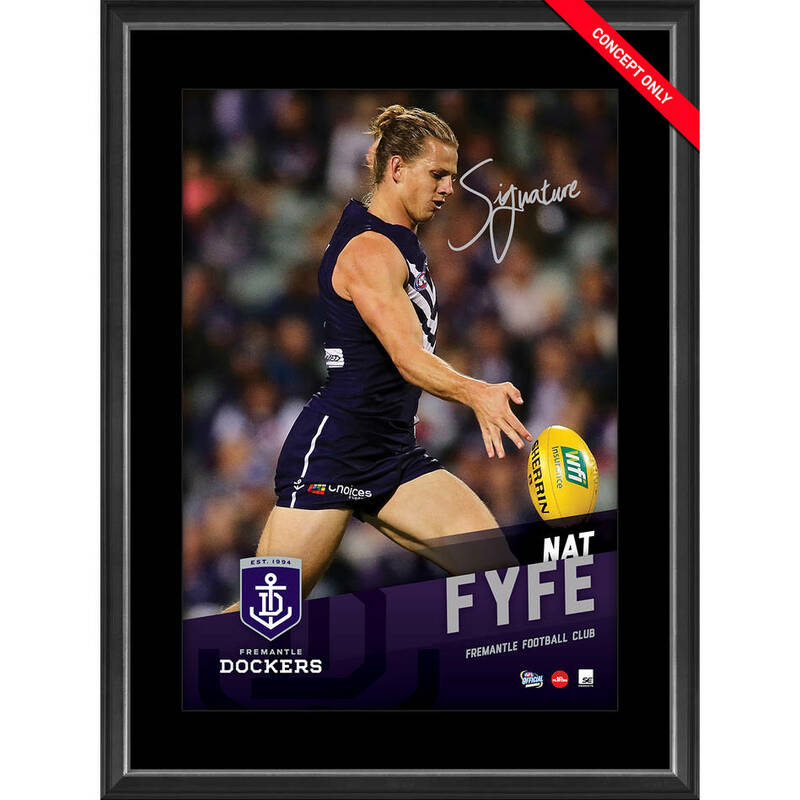 Official Memorabilia, in conjunction the Fremantle Football Club and the AFL, is proud to release the Nat Fyfe Signed Vertiramic. This superbly presented piece pays tribute to Fremantle captain and Brownlow Medallist, Nat Fyfe. Personally signed by Fyfe, it is officially licensed by the Australian Football League and endorsed by the AFL Players’ Association for your peace of mind. This beautifully presented piece is a must-have for all Dockers fans and astute collectors alike – secure yours now.